Saving the ocean seems like a massive task, just like saving the world. However its actually so easy, here as we ignite awareness every single person has the power to change the world a tiny bit and the more people who do, the more change we will see. To help our community see how easy it is we are compiling a Series of Short videos on our Facebook page demonstrating some of the ideas and hopefully it will grow into a fun resource and reminder to all that we #canchangetheworld. 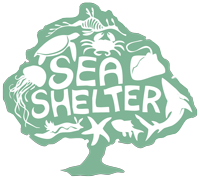 PROVIDING THE GROUNDS FOR CHANGE The episodes which can be viewed HERE involve our Sea Shelter Volunteers heading out in the world armed with easy tools to make it a better place. Whether it be a metal straw, a Fruity Sack or a particular business that has great ocean awareness we are documenting the whole thing to show just how easy it is. If you would like get involved in our filming or have any ideas of what we should film next please touch base with us, become a member or one of our volunteers. Its only early days at the moment, together we can do amazing things and see our changes take place.